Engine: 6.2L 6162CC 376Cu. In. V8. 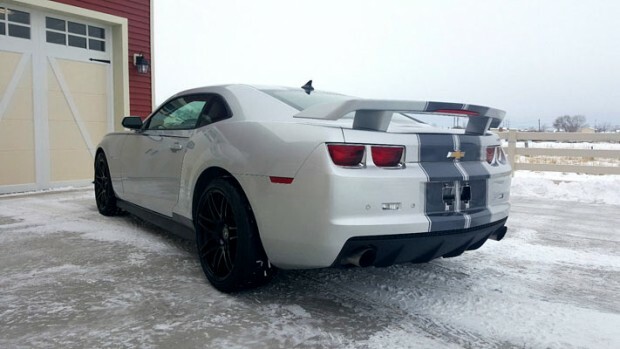 Here we have a 2010 Chevrolet Camaro SS which has been essentially completely upgraded to a topline pro Street racer. The car is advertised as something you can take to the dragstrip, then drive home without any problems. 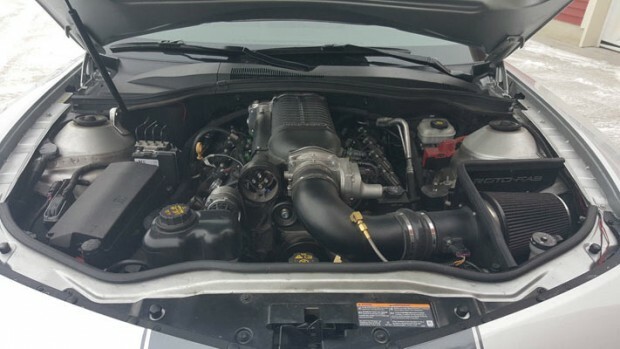 This Camaro can currently do 10.90 ¼ mile at 130 mph. Says with sticky tyres and boost can get low tens or even high nines all day long. 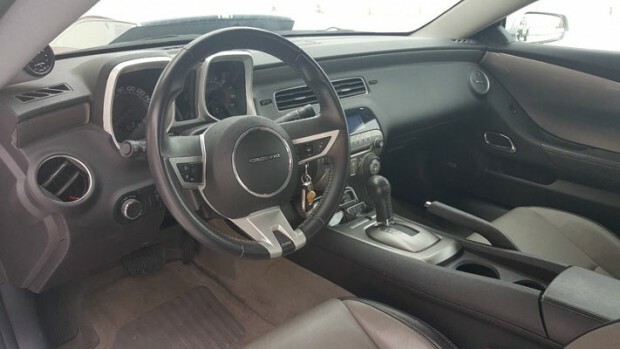 The car was bought new for $2000 and is close to $40,000 invested in upgrades, which means the asking price is quite fair. A set of GM Performance CNC’d, polished and ported heads. LS9 head gaskets and ARP head bolts. Innovators West 8-Rib Drive w/ 8” damper and crank bolt. New sprocket tensioner and bolts along with new Trunion upgrade, dual valve springs, new pushrods and valves. Polished and ported VMAX throttle body. Elite engineering catch can. Katech C5R timing chain, Trend tensioner, and Melling Oil pump. Pfadt solid engine mounts replaced the stock mounts. The engine had the L99 to LS3 Conversion done with new valley tray, DOD and AFM delete as well as removing the VVT cam and went to a 3 bolt cam. Roto-Fab Cold air intake along with the blower upgrade for use with the Whipple. SLP Long tube ceramic coated headers 1 ¾” into 3” collectors. No Cats installed. If you have emissions let me know and i’ll have some cats welded on before it leaves. PowerFLo X-pipe and PowerFlo 3” pipe all the way back to the PowerFlo mufflers. Alky-Control Methanol kit was installed and replaced the washer reservoir with Methanol. The kit works off of the MAF sensor and lasts a long time since it’s more of a precaution than a necessity. Yank SC3000 torque converter. You can still daily drive this car with no issues. Detroit Speed products upgraded the following: SS Solid rear cradle mounts, SS adjustable toe links, SS adjustable rear trailing arms. Also added was a Pfadt Rear Upper C-arm Poly Bushings w/ Sleeves and a Pfadt sway bar. NGK spark plugs and Taylor 8.2mm Thundervolt 135 degree spark plug boots with boot protectors. Elite Engineering Tunnel Brace for stiffening of the chassis when that torque comes on, keeping the tires evenly planted. Forgestar F14, 20”, deep concave, piano black wheels. 10.5” rear and 9” fronts. Brembo brake calipers powder coated red. Sunoco COPO style hood with 4” cowl in the middle to give the Whipple extra breathing room. heritage Grill in the front ties it all together along with an SLP style front splitter. 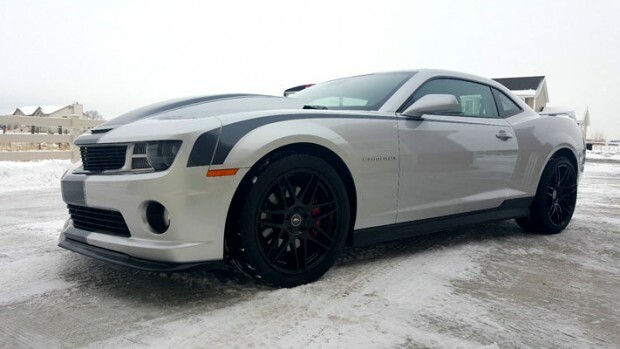 ZL1 rockers added to the sides in black and a beautiful Cyber Gray metallic dual SS stripe kit that runs bumper to bumper really make this car stand out.